A growing challenge for many communities is finding the best way to manage and plan for roadway maintenance. Budgets are tight, and programs for road improvement funding are extremely limited. Your pavement network is a valuable asset, and it’s essential to protect it using a planned approach to save money on street repair costs. With a focus on keeping roads in good condition through pavement preservation techniques, our team is experienced in the development and implementation of fiscally responsible pavement management programs. We’re also committed to advancing concrete pavement preservation techniques, technology, and training through our work with the National Concrete Pavement Technology Center (CP Tech Center). 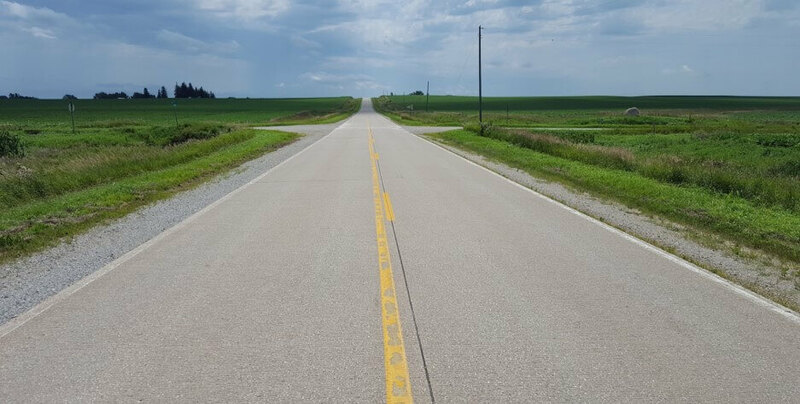 Pavement management is an engineered system that includes pavement condition inspection and pavement condition prediction to develop repair and maintenance strategies that optimize spending. Pavement management saves money by developing a financial strategy for pavement improvements including rehabilitation, preservation, and reconstruction. Special attention is given to the pavement condition index (PCI) of each pavement. Preservation and rehabilitation strategies are assigned depending on the level of distress and classification (level of use). The overall result of the program will provide for longer life pavements and increase the overall network PCI. In most cases, it’s more economical to spend money keeping good pavements in good condition through preservation while programming reconstruction for poor pavements. Can a pavement management program work? To create a program catered to your specific needs, we’ll engage in a meaningful discussion about priorities and create an investment plan to maximize resource efficiency. Gathering information and identifying pavement history directly impacts potential solutions. Whether you use a simple spreadsheet, or a program like PAVER, dTIMS, or other data management tool, the data collection step is fundamental to develop a pavement management system. The type of pavement preservation that’s been applied either by agency staff or by separate contract. Preservation types such as partial and full depth patch repair, crack and joint seal, overlays, pavement grinding load transfer restoration and others. Additionally, it’s important that discussions are held with public works and private utilities regarding the history of utility maintenance as well as potential future utility improvements in the roadway segments. Using a standardized rating scale, pavements are evaluated according to the severity level of distress. The information collected is used to calculate the Pavement Condition Index (PCI). It’s important to note that different methods can be used to calculate the PCI. The PCI determined by ASTM D6433-11 (Standard Practice for Roads and Parking Lots Pavement Condition Index Surveys) is based on specific types of distress with varying severity levels. Some agencies calculate their own PCI based on different distress types and severity levels. It’s critical that a visual evaluation (project level evaluation) is completed for each pavement to provide an accurate evaluation. Creating a map of the street network that shows pavement conditions provides a visual representation of the areas with the greatest improvement need. Pavement management software analyzes pavement conditions and assigns preservation strategies based on priorities and condition. If the pavement has a low PCI, it will assign stopgap policies to keep the road safe and program it for reconstruction. If the pavement has a fair to good PCI, cost-effective rehabilitation techniques are assigned to achieve an excellent condition. Pavement management software can predict the future pavement network condition by applying different budget strategies. This allows you to review the results based on how and when you assign budget dollars. As a result, you can prioritize rehabilitation or reconstruction strategies and develop a capital improvement program to save money.